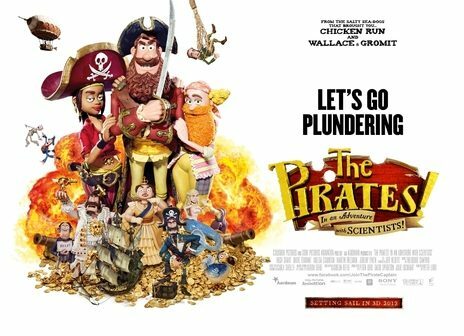 You are at:Home»Entertainment»Review: Pirates in an Adventure With Scientists! Review: Pirates in an Adventure With Scientists! Kicking off the Easter holidays, The Pirates! In an Adventure with Scientists is the first 3D-stop motion film produced by Aardman Animations, the producers of other family favourites such as Chicken Run, Flushed Away and Arthur Christmas. Released on 28th March, the complicated stop motion system means that the film has been in production for over five years (it takes a week to shoot 5 seconds of film), and it definitely does not disappoint. The Pirates! follows the adventures of the ambitious Pirate Captain (Hugh Grant) and his crew, which includes his second mate The Pirate with a Scarf (Martin Freeman), The Surprisingly Curvaceous Pirate (Ashley Jenson) and a fish with a hat. Pirate Captain’s life dream is to win the coveted Pirate of the Year Award, but unfortunately, he’s rather hopeless at being a pirate, especially compared to his nemesis Black Bellamy (Jeremy Piven). He gets his chance when they hijack the Beagle and meet Charles Darwin (David Tennant), who informs the captain that the ship’s parrot, Polly, is not a parrot at all, but is in fact the world’s last living dodo. With this knowledge, Pirate Captain sets off on a plan to present Polly to the Royal Society in London, and win enough treasure to secure his place as Pirate of the Year – all the while avoiding Queen Victoria (Imelda Staunton), who is famous for her hatred of pirates. The Pirates! 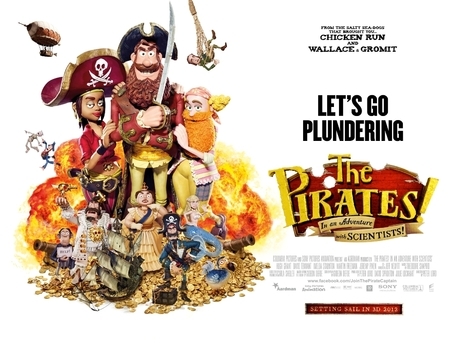 has a fantastic voice cast, featuring some of the biggest names in British cinema; Hugh Grant was brilliant as the enthusiastic but self-doubting Pirate Captain, David Tennant’s turn as Charles Darwin (who is desperate for a girlfriend) was especially hilarious, and the performance of the supporting cast really brought the characters and the jokes to life. 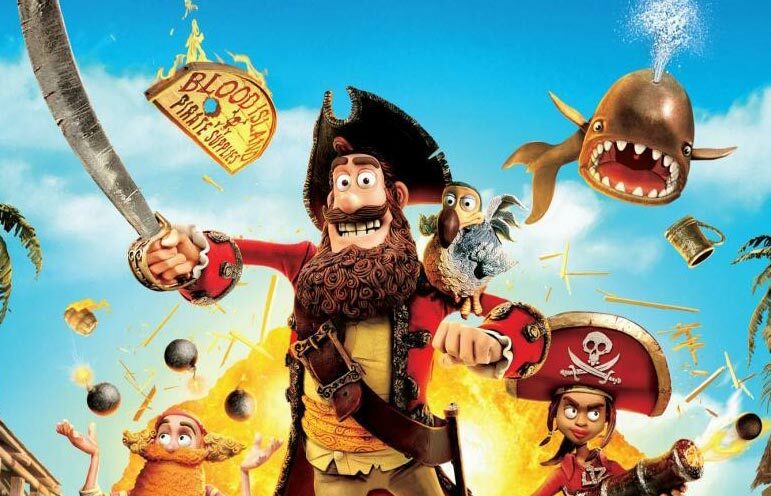 A special mention also goes to Brian Blessed’s superb cameo as the Pirate King. The humour is very typical of Aardman, and will draw many comparisons with their other productions, such as Wallace and Gromit, but it works. The jokes are slick and genuinely funny, for children and for adults, and the film is worth seeing alone for wealth of background detail that is put into the shots. No other studio would think of a pirate having a Blue Peter badge on his hat, and audiences should look out for the extra puns and gags on street signs, buildings and walls in the back of shots (a personal favourite is Napoleon Blownapart’s Dynamite and Gunpowder Supplies). However, despite a strong start, the plot starts to drag towards the end of the film as it tries to wrap up the many plotlines before the 88 minutes are up, something that not even Queen Victoria with ninja swords could save. But despite the pacing issues in the final half hour of the film, this film is definitely worth a viewing. The artistry and detail put into The Pirates! is phenomenal, and if Aardman’s type of humor appeals to you, this movie will have you cracking up. The Pirates! In an Adventure with Scientists is a great film for kids and grown ups alike, and is a brilliant way to spend a rainy April afternoon.